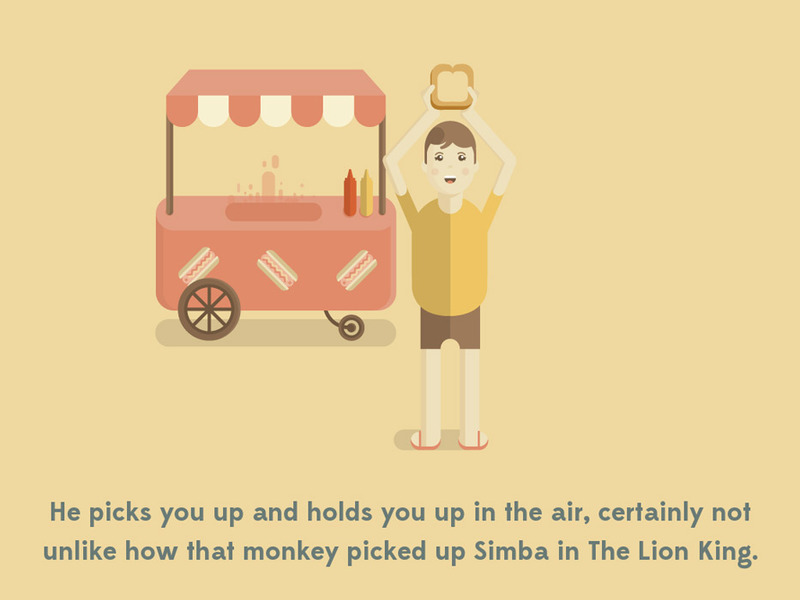 "A short but brilliant interactive story." 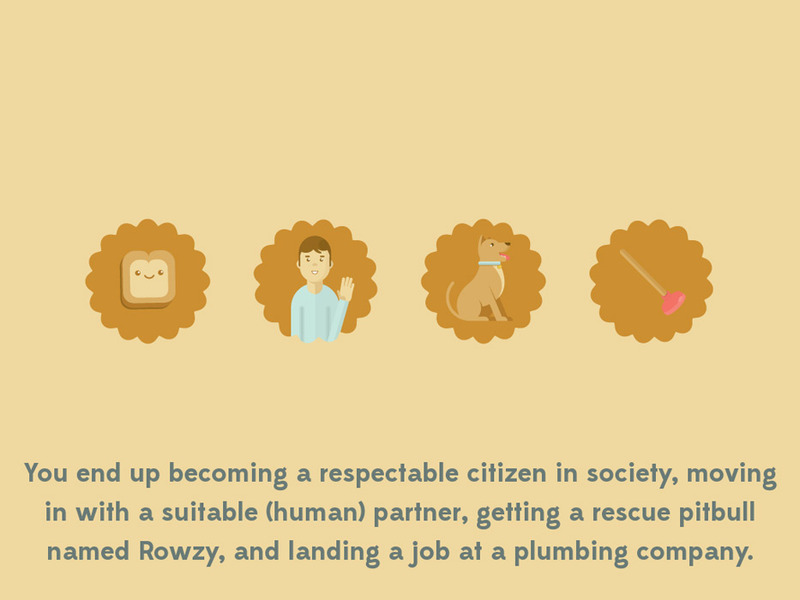 A Day in the Life of a Slice of Bread is a short interactive graphic novel where if you haven’t guessed you get to spend a day in the life of a slice of bread which turns out is capable of human thought and you will have to choose how the story of our baked hero will go (baked as in bread not the other kind!). The game is very hard not to love for its excellent narration and cute graphics and occasionally breaking out in musical interludes, the writing is jolly and happy even if describing the demise of our wheat-y protagonist and the story is told in such a lovely way with many surprising outcomes that you will probably want to keep playing it through just to see each different pathway you can take and hopefully manage to get each alternative ending. 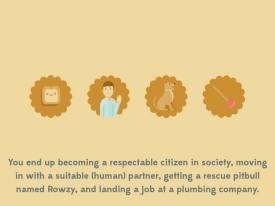 A Day in the Life of a Slice of Bread is charming and funny but sadly altogether far too short and it would be lovely if there was a bit more depth to the story here as you can tell the writers behind the game are really talented as well as witty. 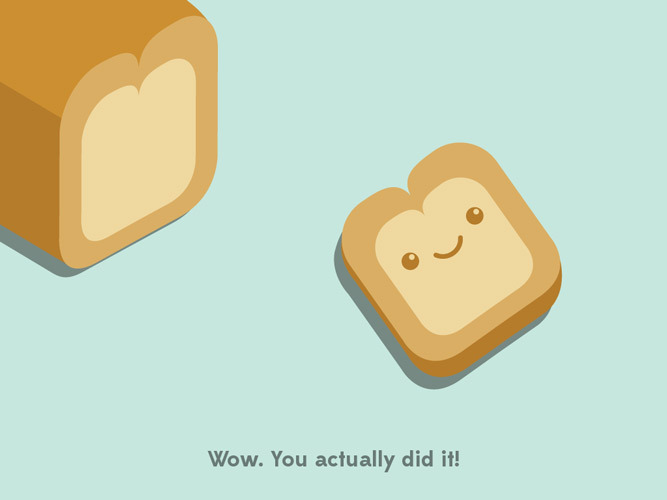 You can download A Day in the Life of a Slice of Bread here for free.